This is my first blog post on this site..I really want to learn this WordPress blog and website stuff! This part of my brain has not been stimulated lately, but my friend and WordPress teacher just came to give me an update/overview so I need to get familiar with it and start practicing! 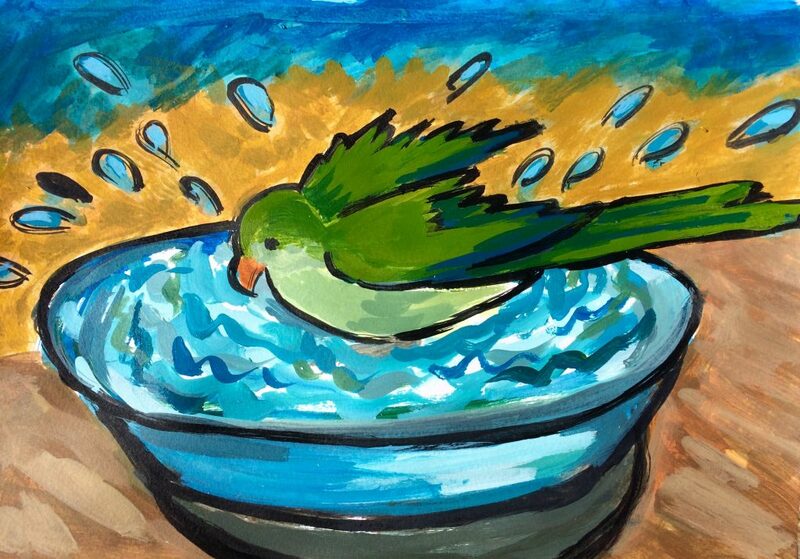 The image above is a recent acrylic painting on paper of my Quaker parrot, Porto, taking a bath in a pie plate on the backyard picnic table!